Targeting superior visual appearance for demanding beauty and health care packaging. Metsä Board Kyro mill, located in Kyröskoski, 40 km northwest of Tampere, Finland, started up Metso's coat weight profiler technology on its Board Machine 1 (BM1) in June 2014. By replacing a manual control with an accurate automated solution, the mill has been able to further boost the quality of its folding boxboard through significantly better coat weight CD profiles. "The profiles are now much more even than when controlled manually. The 2-sigma value for the actuator-based profile was earlier 0.5 g/m², but it has now reached 0.1 g/m². This is a five-fold improvement," says Tomi Vähä-Ruohola, Operations Manager, Metsä Board Kyro. "Even profiles throughout the entire parent roll width are important because they result in better printability for our customers." According to Vähä-Ruohola, Metso was selected as the profiler supplier based on its technological know-how and reliability, long-standing relationship with the mill, as well as its large installed automation system base and continuous service presence on site. Kyro BM 1 produces high-quality fully-coated folding boxboard in the grammage range of 205 to 380 g/m2 for beauty care, health care and other demanding packaging and graphics. The machine has a trim width of 3.3 m and a speed of 660 m/min. Metso's scope of delivery included a Metso IQ Coat Weight Profiler with 24 actuators and an IQ Coat Weight CD control. Metsä Board Kyro has steadily invested in improving the quality of its folding boxboard. In May 2013, the mill started up a new-generation Metso IQ Induction Profiler with new CD controls. The results gained with the solution include greatly improved CD caliper profiles and a reduced number of breaks. Cross-direction coat weight uniformity is an important factor not only with regard to quality but also in overall machine efficiency - especially after blade changes, rod changes and breaks. Metso IQ Coat Weight Profiler is a high-resolution CD coat weight profiler with actuator spacing down to 60 mm. It achieves accurate profiles both in blade and film coaters and meets the many challenges in today's coating processes. 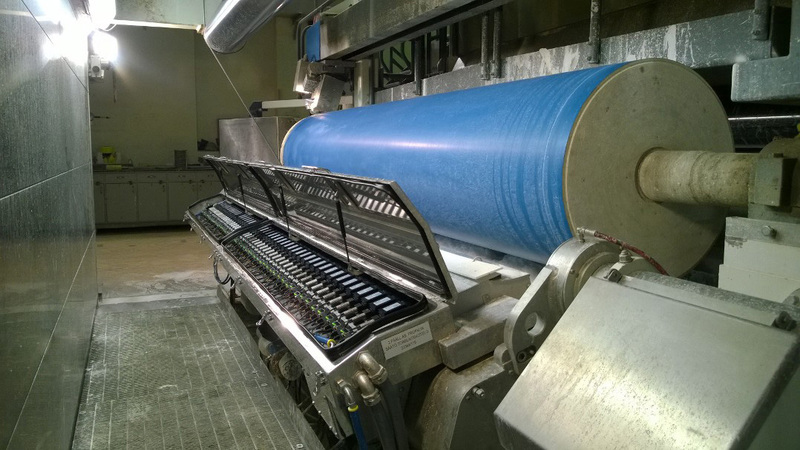 "The major benefits include superior coat weight CD profiles, better runnability in the coater, as well as in the calenders and winders after the coater, and less broke after breaks and blade/rod changes. Additionally, the fiber savings are achieved as a result of thicker coat weight and less fiber being used," adds Juha Mykkänen, Sales Manager, Process Automation Systems, Metso. Metso has the world's widest scope of automation solutions and services for the pulp and paper industry - from single measurements to mill-wide turnkey automation projects. It is the market leader in quality control systems as well as in control and on-off valves for this industry sector. The company also holds a leading position in pulp performance optimization with its advanced controls. Metso's system-independent solutions help customers lower their operating and maintenance costs.